I began teaching children martial arts - and I continue to do so - because I care about both enhancing their safety and physical wellbeing and instilling in them a confident, can - do attitude. We all know that our experiences as children can influence and shape the rest of our lives. I truly believe, and my work teaching Childsafe continues to prove, that the lessons children learn by studying martial arts in a safe, positive, disciplined environment provide a most significant foundation for future growth. As a Martial artist myself for almost 30 yrs I am possibly best to recognise the enthusiasm, skill and expertise that Eddie and his team put into teaching the kids that turn up to his childsafe martial arts classes. My Son has come on leaps and bounds since starting over 2 yrs ago in both his martial skill & general self confidence . I can only end by saying I wish there was something this good about when I was a kid! Hi Eddie, here's a testimonial from me. If it could radiate sunshine, it would. You and your amazing team are one of a kind. And us parents are blessed we have you providing such a strong, positive influence on our kids' lives. Eddie and his amazing team of instructors offer more than just martial art's instruction. Classes are energetic and fun but also offer structure and discipline. The instructors manage to make young girls feel strong and empowered to achieve anything while offering the boys strong male role models. 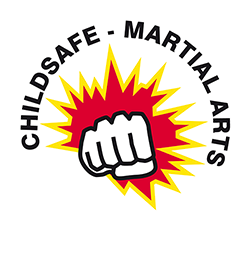 My son and daughter both attended Childsafe Martial arts classes and initially it was for fitness and to ensure they would have the ability to defend themselves, if it was ever need. But their confidence grow under Eddie and his team's guidance has been such an added bonus. I now say to them that this is the one non-negotiable extra-curricular activity in their week...not that going takes much to convince them to go. Testimonial....My sons have been attending Eddie Quinn's classes for seven years now, and although they are of completely different builds, they are both confident in themselves. I believe that a major reason for this is learning self defence techniques with Eddie and his awesome group of dedicated, friendly and fun coaches. I wouldn't hesitate to recommend them for either your sons or daughters to get fit, have fun and critically learn some important martial arts moves. My 8 year old daughter Avani has recently start with Childsafe Martial Arts and see absolutely loves it. The games they play at part of the session are so much fun that they forget they are exercising and learning moves. Avani was a very quite girl and quite reserved but now she is confident and has come out of her shell. Mr Quinn, Jake and Mr T are amazing!!! They really look after the children and make them feel welcome. Thank you for helping Avani and believing in her. My son has been going to Childsafe Martial Arts for 2 years now, not only is he learning Martial Arts, he has grown in co-ordination and confidence. Every session with Eddie and his team is made fun and the kids are learning not just the skill of Martial Arts, but balance, co-ordination, team building, and fitness. To watch all the kids grow in confidence is wonderful. Eddie and his team not only clearly love working with kids, they genuinely get to know each and every one of them. Eddie Quinn's classes have taught our children martial arts skills, discipline, self confidence, respect, self control, fitness, health and a great deal of perspective about life. We could not have asked for a greater set of abilities to enable them to face the challenges of growing up. Thank you. Eddie Quinn has taught my son for 5 years. At first my son was a relatively quiet and sensitive child who was generally averse to boisterous play. His confidence has hugely increased and I feel my son has learned a potentially life-saving skill from Eddie and his team that I could never have taught him myself. Eddie has a superb empathy with and understanding of children, whatever their level of strength , size or dexterity. He has tactfully encouraged my child to participate, and patiently encouraged him to achieve a level I never thought possible. Eddie has the humour and tact that is necessary to involve any child, and is equally popular and skilled with boys and girls of all ages. In addition, Eddie's style is extremely good with adults. His self defence classes are accessible to all and his teaching enables everyone to participate and start to master techniques very quickly. I would strongly recommend Eddie and his team without any reservation to anyone considering Martial Arts as a hobby for their child or themselves. There is no better. My two boys, Sam and Charlie, have been attending Childsafe Martial Arts weekly for almost 4 years. They love and look forward to each class. Both boys confidence has improved. Sam who is the youngest in his year has especially developed greater co-ordination, control, healthy competitiveness and team playing. P.E. is now something he excels at in school whereas he wouldn’t have had the confidence before to show this off. I’d definitely recommend Eddie and his team for any children who are interested in learning martial arts where they can make friends, learn a skill, develop discipline, learn to defend themselves and above all else have fun! Eddie has that unique quality in his teaching to be able to hold the attention of a class full of lively kids whilst ensuring they learn, behave and have a laugh! My son began Martial Arts lessons after having a go at nearly every other after school activity you can think of! We really wanted him to find something he enjoyed and realise that to get better at something you have to persevere. Four years on he has never once complained about going and whats more, without fail, comes out of his class smiling with lots of tales about what has happened. He is confident, fit, getting stronger and more skilled all the time and has learned some amazingly valuable life lessons that he will never forget - perseverance is just one of them. Having seen their brother enjoying the classes so much, my daughters have all started the classes too and love every minute of them. I see the progress they are making week by week; I love the fact they are learning a skill that will keep them fit and safe, but I know they are being given so much more by this fantastic team. My son was only 7 when he started training with Eddie and he is now 14. Eddie’s commitment to each child is highly commendable. Whilst the lessons are always fun, the focus is on respect, discipline and most importantly how to defend and protect oneself. I truly believe Eddie has played a part in developing my sons inner confidence (especially if the need should arise to defend himself) and his mature outlook on the world we live in. Thank you Eddie. If you'd like to book your child on a ChildSafe class, please use the form below.